The other week I had to drive from Hartford, Connecticut, to Kennedy Airport in New York. As is my way I set off too early and ended up with some time to kill. I stopped off in New Haven to have a look at Yale (sites of preposterous privilege and power are so interesting, don't you think? ), and I went to the university-affiliated Peabody Museum. I wasn't expecting much, I just wanted to stop driving for a bit and have a pee. Museums of natural history don't tend to float my boat. You've seen one dusty taxidermied baboon, you've seen 'em all. I prefer nature to be explained to me in person, from behind a car's windshield, or on TV. No one could accuse The Peabody of being a cutting edge museum of 21st century best practise. Its centrepiece Black Holes exhibition looks like it was designed in 1987, and much of the collection has the reek of old skool natural science and colonial anthropology about it, the seamless segue between rocks, insects and animals, then mummies and 'primitive peoples' is especially cringeworthy, for example. 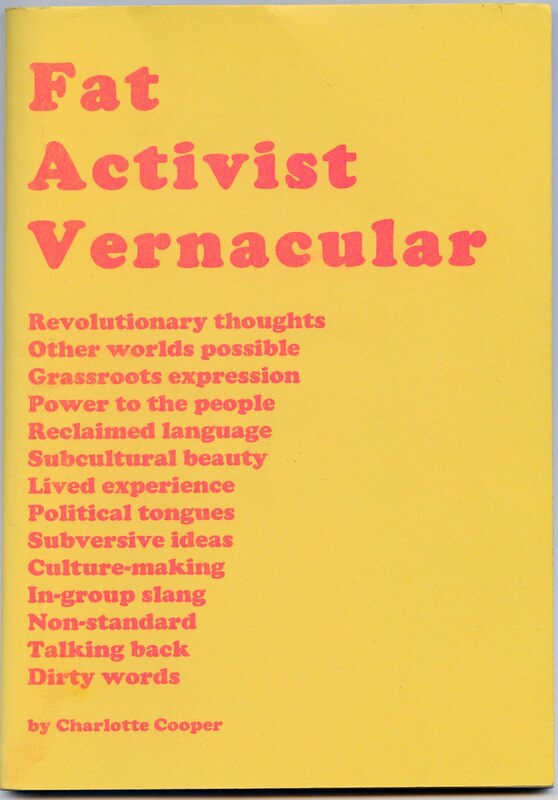 However, in some areas of the museum, brave curators have drawn attention to these shortcomings. A notice points out that a giant model of a dinosaur, one of the museum's treasures, was put together wrongly by the 19th century scholar who supervised its assembly. He didn’t know any better and it was only when evidence surfaced years later that anybody realised the skull was a bit off, that there weren't enough vertebrae, and that the tail should have been in the air, not on the ground. I really enjoyed this admission because it exposed the myth that representations of natural science are pure and objective truths, it shows that they are as much a product of contemporary ideology as anything. I don't know about you but I'm fascinated by Dodos and The Peabody has a little display devoted to these sweet and extinct creatures, featuring a skeleton and a model made of chicken and ostrich feathers. Again there is a note saying that more recent evidence suggests that the model is not an accurate representation of how a Dodo really looked. This is where it gets interesting in terms of fat. The model Dodo is almost completely round, whereas the text display says that in real life they were probably leaner and "more athletic". 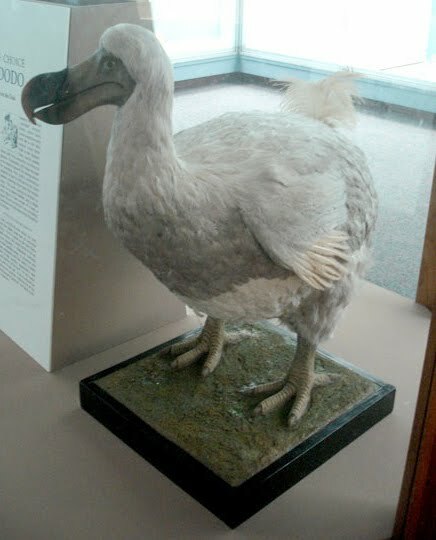 The panel suggests that the Dodo was probably represented as being fat like this to emphasise the belief that it was stupid, helpless, basically a sitting target for hunters. 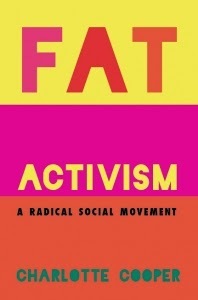 This assertion is likely to represent present-day thinking on what fatness represents, rather than an objective truth. I don't know when the model was built, or if this interpretation is what the model-makers intended but I'm really fascinated that the association between fat and abjection could be played out in the model of a Dodo. I think debates about the meaning of fat being transmitted by media, epidemics, fashion, or whatever, are commonplace, but using a Dodo to get the message across is jaw-dropping. The way fat people are typically represented within Obesity EpidemicTM rhetoric is also very Dodo-like; we herald extinction, we are useless beings, we are laughable, pointless and stupid. It's funny how the leaner interpretation of a Dodo is associated with more modern and enlightened thinking, the future is thin! I don't have much with which to conclude other than that the reproduction of fat abjection moves in mysterious ways, and my interest in Dodos just got a lot geekier. PS. I went to Bristol Museum and Art Gallery (in the UK) about a month after I wrote this post and I was excited to see they have a fat Dodo model there too, though with no explanatory text. Any more sightings?